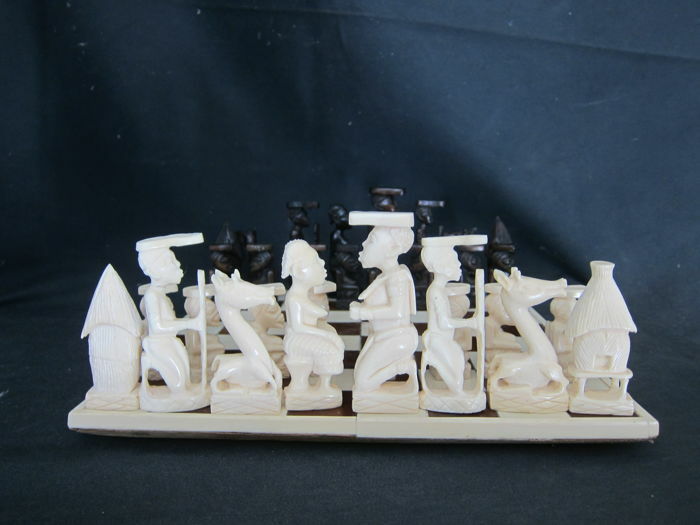 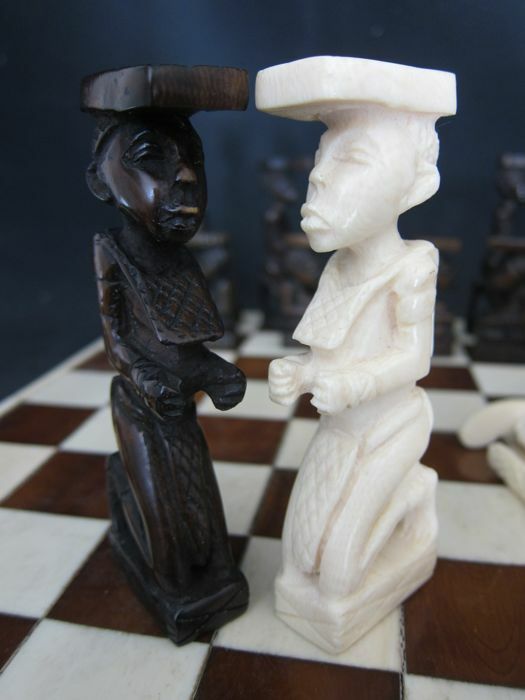 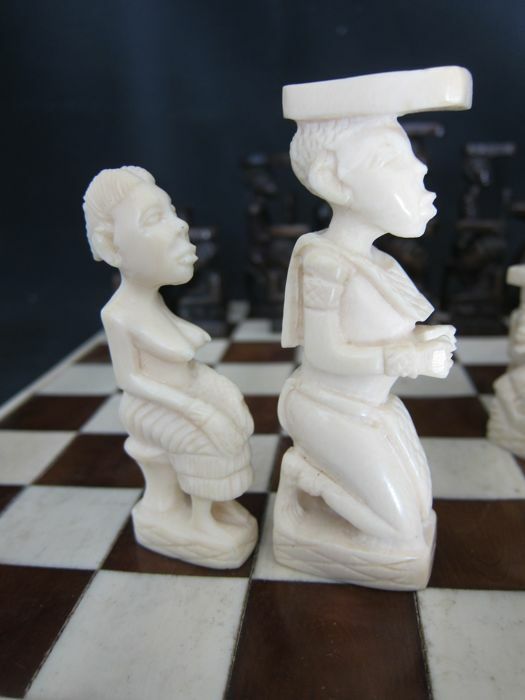 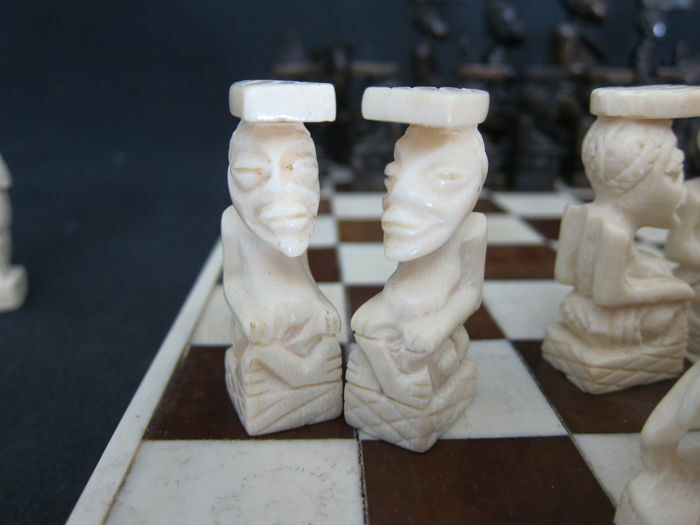 A complete ivory chess set representing characters of the Kuba. 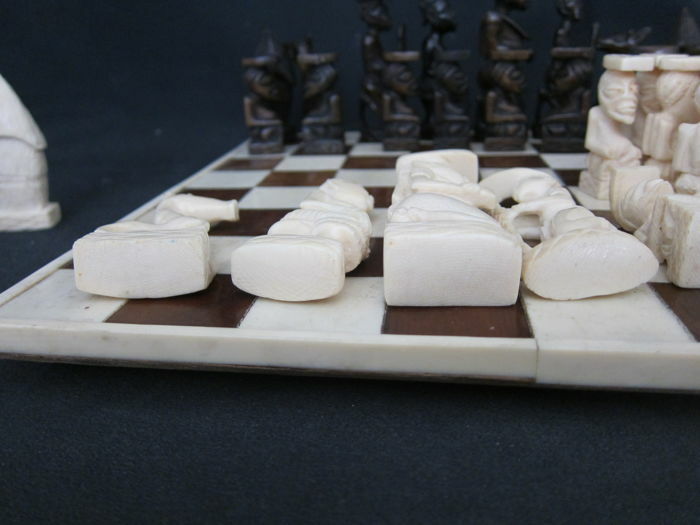 Pieces of such fine quality came to Belgium just before the war around 1935. 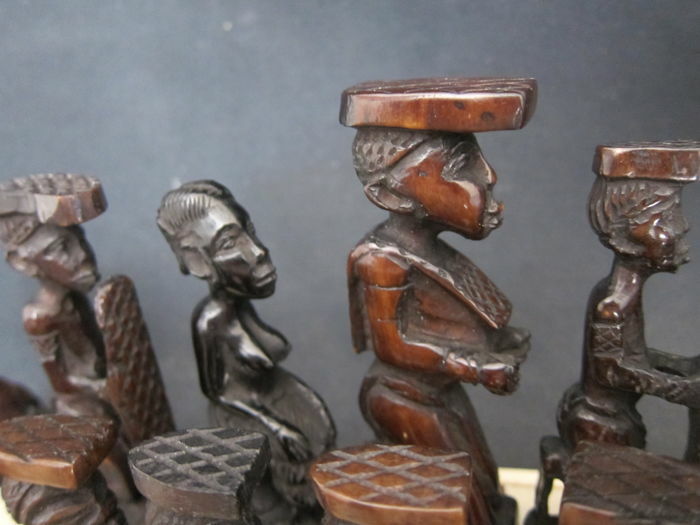 They were brought back by early settlers and made upon commission in the Kasai region of Congo. 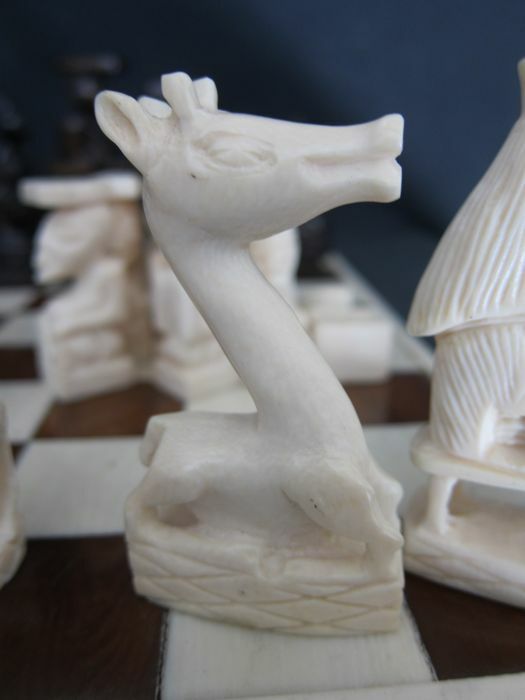 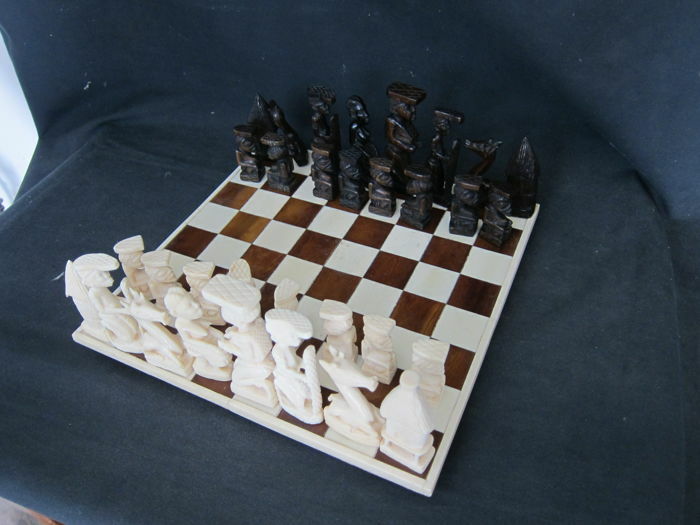 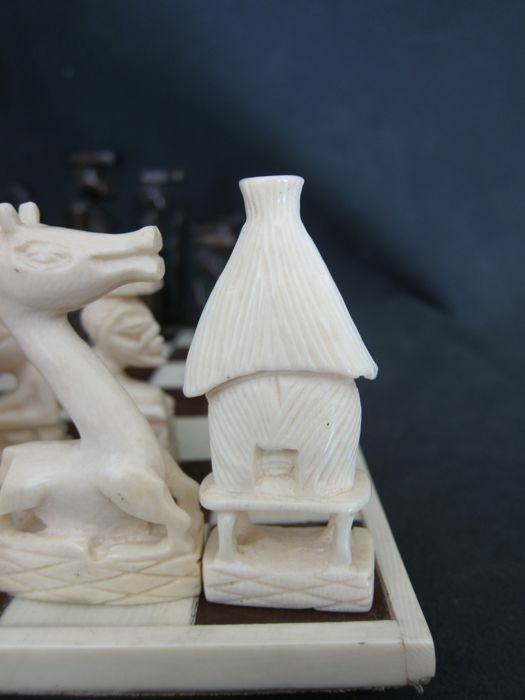 The set is on its chessboard made from ivory. 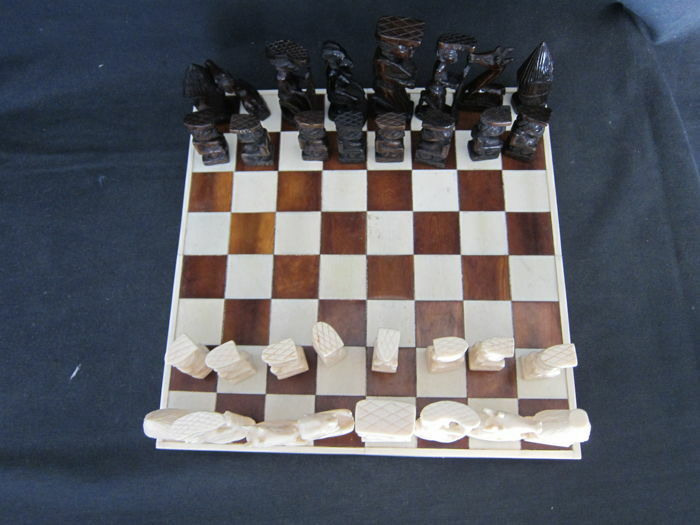 The dark boxes are coloured like the dark ivory chess pieces. 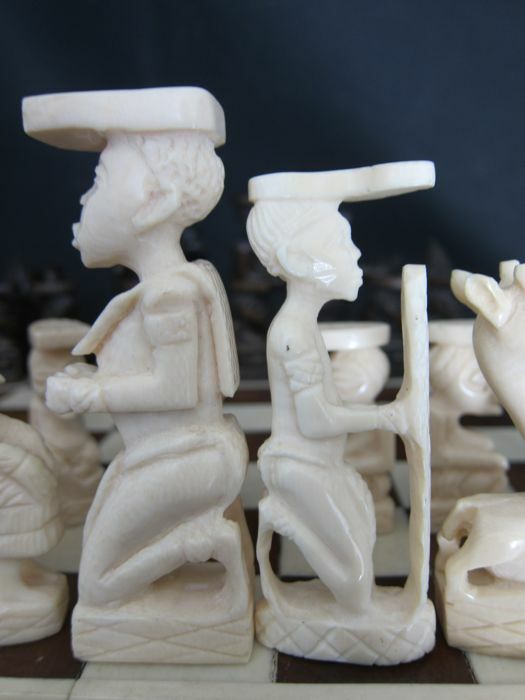 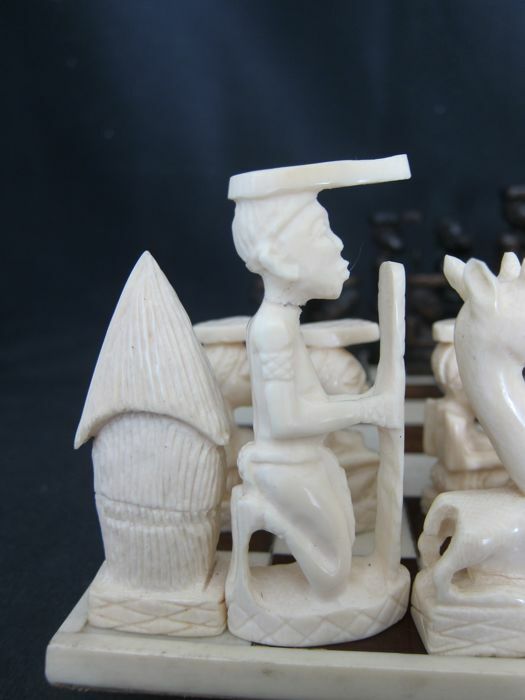 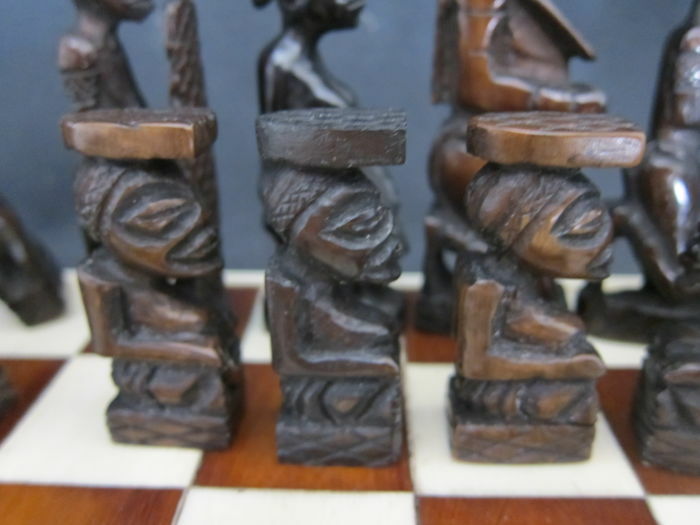 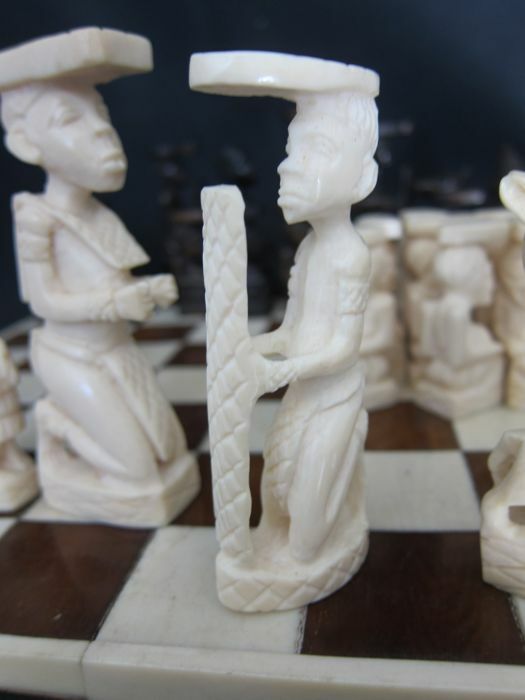 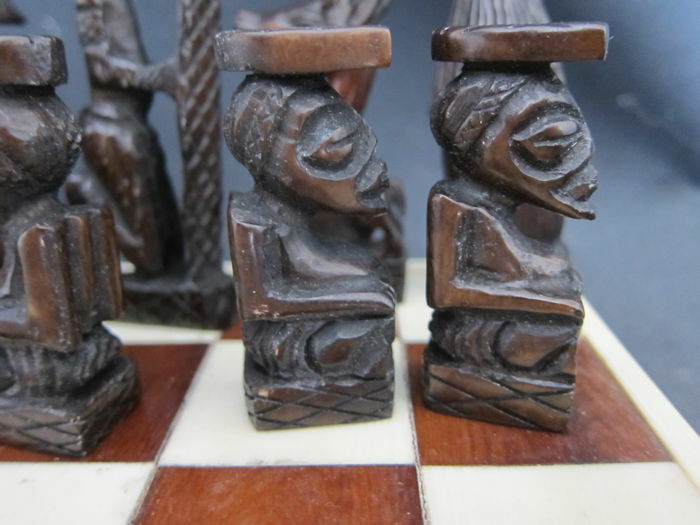 The game has its full 32 pieces, they are in used condition, the structure of the ivory is more visible on the black pieces. 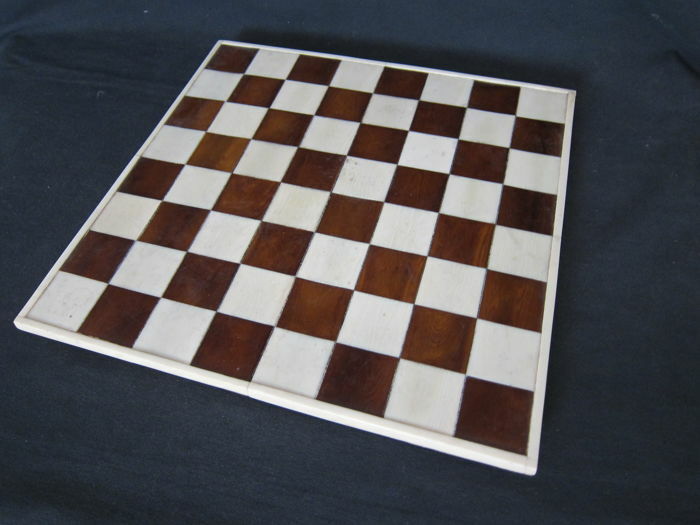 The board measures 29 x 29 cm. 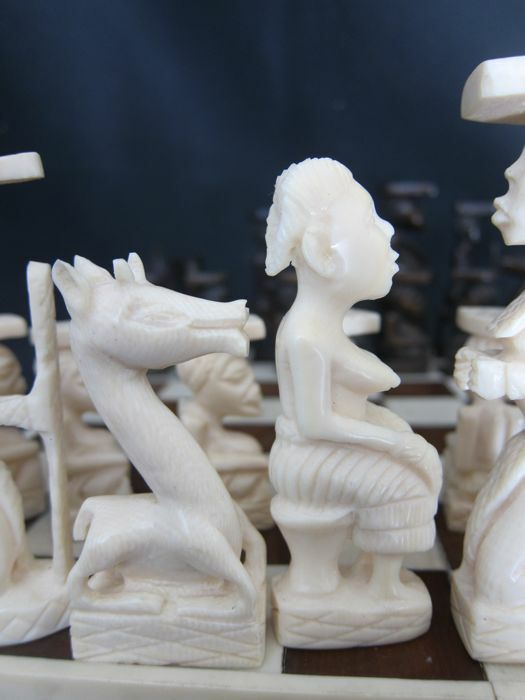 All of the pieces are made of solid ivory. 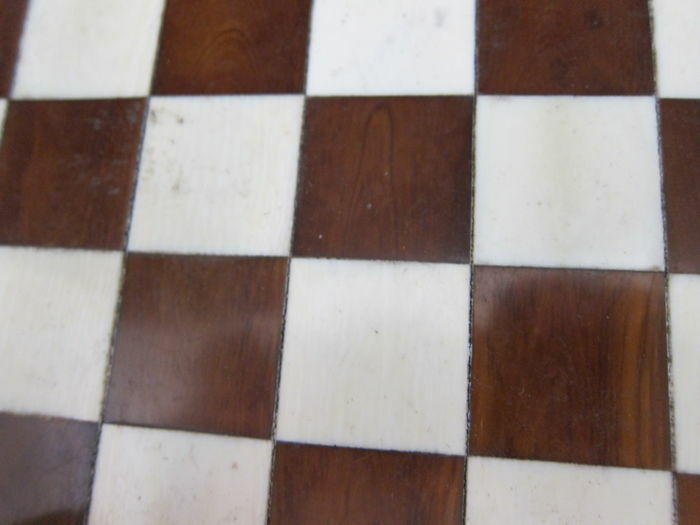 Good condition, with traces of wear and tear. 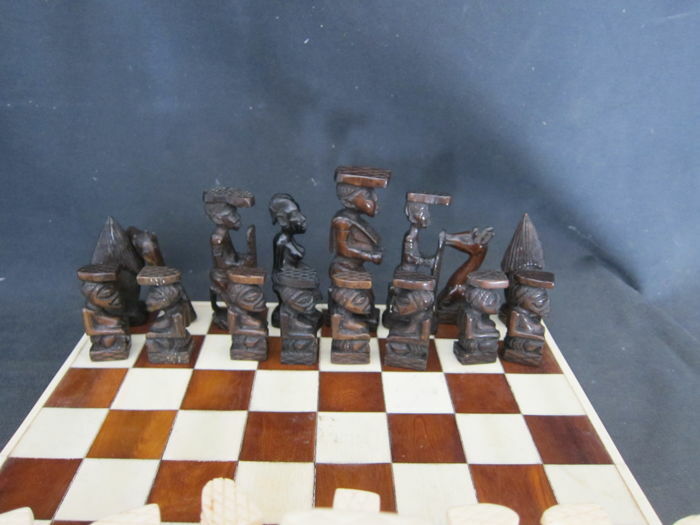 This item comes with a certificate of the certified appraisal office Ruyten, signed by expert Jan Willem Ruyten. 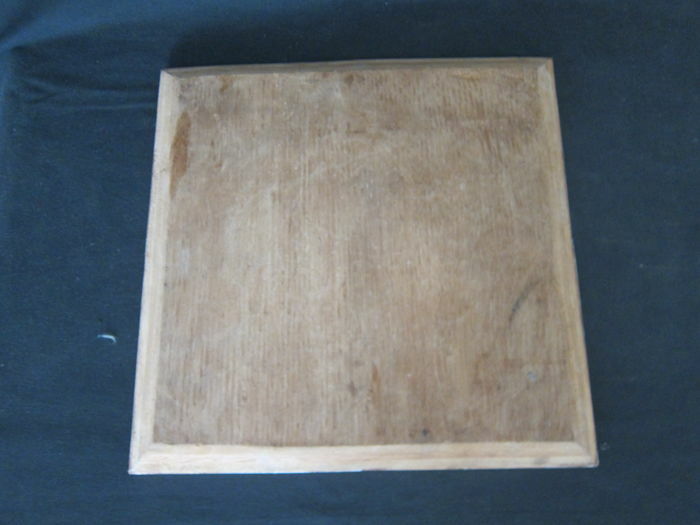 This object will be sent by registered mail only within Europe. 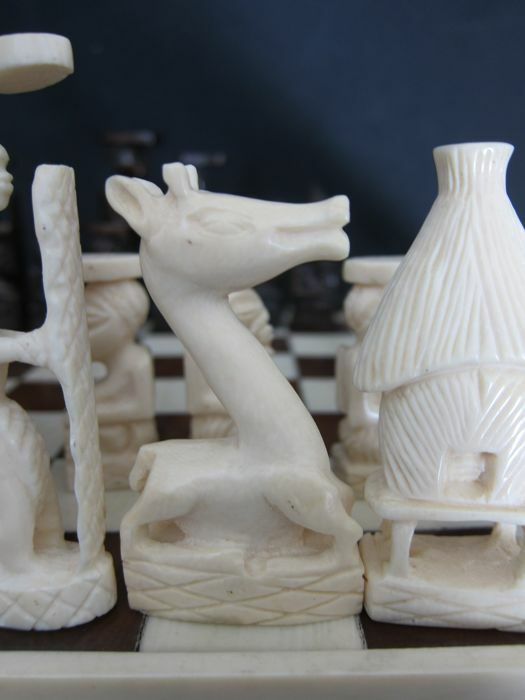 The provider guarantees that this is antique ivory, crafted before 1947, thus, permitted under CITES regulations.